As the company’s motto states it, Hunter Douglas has raised the window treatment manufacturing process to the status of an art. Nowadays, the name Hunter Douglas is a synonym for high-quality window fashions, due to the fact that they took every aspect of this industry to another level. From unique textures to innovative designs, this firm will provide you with everything you need to meet your demands. One important aspect is that the company has improved the standards when it comes to child and pet safety: most of its products have cordless operating modes or easy-to-use control wands, making the use of dangling cords redundant. 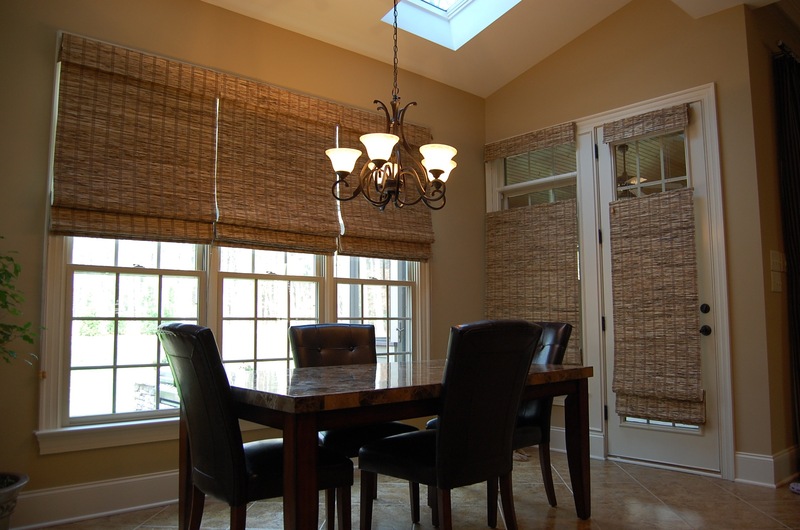 Horizontal shades can be pushed up or down just by using your hand, while vertical treatments are equipped with the Vertiglide system, upgrading the manner in which this type of window fashions can be stacked to the left, right or in between. All the fabrics used in the manufacturing process are antibacterial, moist and dust-repellent, and are lifetime guaranteed; that speaks volumes about the attention and confidence that goes into the making of these products. As a result, they are ideal to use in the kitchen, due to their resistance to soiling, and for nursery windows, because they will successfully withstand the attacks of your rambunctious little one. Furthermore, no matter how sheer they are, these fabrics provide protection against fading, thus keeping your furniture and carpets prim and proper. The Rotterdam-based company’s blinds and shades are in a category all their own, offering stylish materials and alluring shapes. The patented honeycomb shades not only look exquisite and add unique charm to your windows, but are helping you reduce energy costs, by trapping air inside their pockets and insulating your house. This is especially important in houses with wide window expanses, where the heat transfer takes place at a higher rate. The innovative Duette shades have improved even more the hexagonal design, by employing a honeycomb-within-honeycomb structure that has proved to be even more energy efficient. Another three-dimensional window fashion that commands attention is the Nantucket product, which suspends fabric vanes between sheer screens, for enhanced light control and privacy. Effective light control and beauty have been two top priorities for the Netherlands-based manufacturer. That is why clients are granted multiple opportunities to configure the products according to their specific needs. You can opt for several slat or vane sizes, depending on the size and shape of your windows. Are they circular, arched or oval? You can find elaborate designs specifically developed for odd-shaped windows, without giving up on quality or operating features. The vertical treatments feature stylish folds that allow a 180-degree rotation, making them perfectly adjustable to the way light changes its angle and intensity throughout the day. Also, customers can choose from hundreds of fabrics and colors, from sheer to room darkening ones. And to finish off, this manufacturer provides smart home solutions for operating its products; with a unique remote control or using the company’s app, you can schedule your window coverings to stack or glide at an exact time of day, or to finely adjust light diffusion in a room. Combining the sumptuous appearance of classic folded blinds with ultimate gliding technologies and fabrics, the Hunter Douglas Roman shades are outstanding. They will instantly add romantic flair to any room and window, regardless of their size, thanks to the adjustable fold styles, orientation and height. The manufacturer provides a wide variety of fabrics, trims, and even valances that will suit every taste and existing décor, with no visible cords to obstruct the crisp design. What’s more, these shades can be stacked up anywhere along the height of the window, letting you adjust the amount of light and privacy in an unprecedented manner. Windows that are wider than taller require specific treatments in order to make the most of the view that they offer. Due to their extraordinary three-dimensional structure, the Hunter Douglas shades will fill your home with a charming diffused light, while your eyes will be delighted by the increased visibility offered by the honeycomb or Nantucket shadings. Wide window expanses tend to allow massive heat loss during winter, while becoming overheated in summer, but the Rotterdam-based manufacturer offers high-efficiency shadings that trap the air, thus perfectly insulating your house. Moreover, the Luminette rotating vertical vanes will give the illusion of height, making your windows look majestic. Ordinary vertical window coverings are often equipped with slow stacking systems that easily break or do not glide properly. 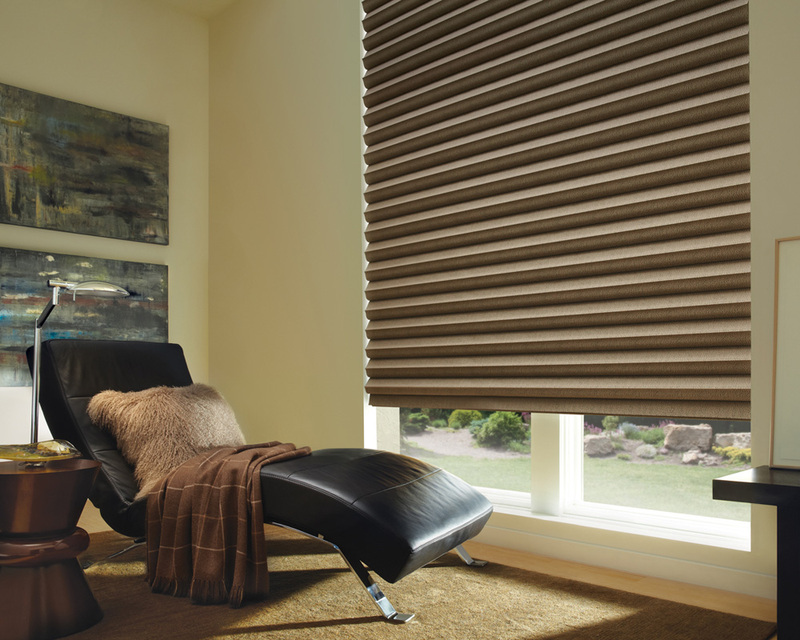 However, the Hunter Douglas vertical shadings come with a seamless operating mode called Vertiglide. 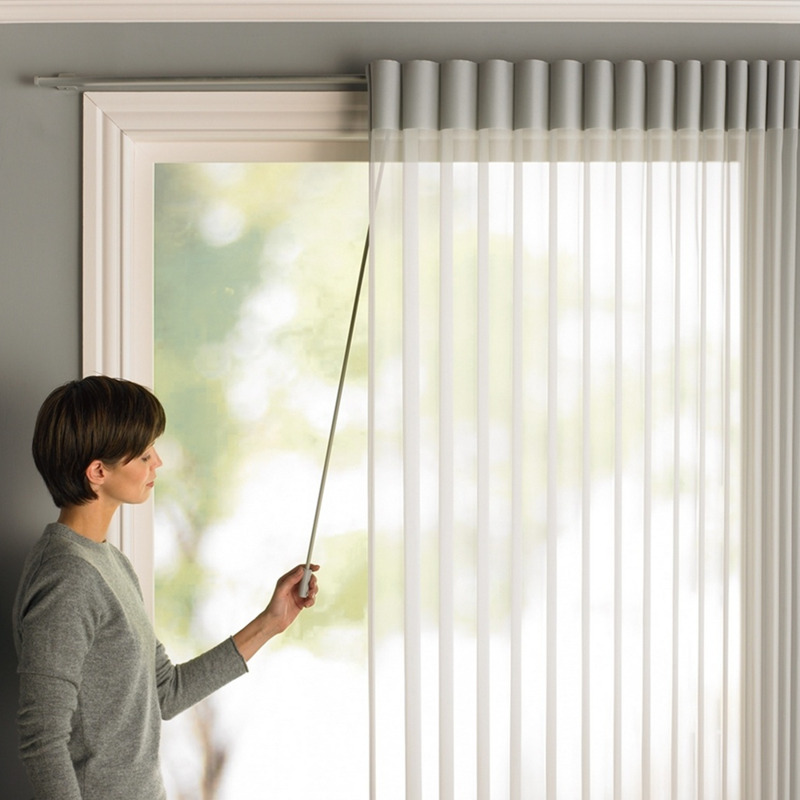 It functions with pleated or folded window fashions, including the vertical honeycomb ones, and it enables vertical treatments to perfectly glide wherever you want them: to the left, right or anywhere else along the window. In this way, you can easily control the amount of light entering your house and your privacy level. The subtle finishes of this system do not alter the design of the windows, as the components are smoothly incorporated within the overall look. Small windows raise a few design issues when it comes to dressing them: first, you need to make the most of their glass area and benefit from natural light as much as possible, and second, they require delicate, yet impressive coverings, in order to obtain a well-balanced design. Consequently, the Hunter Douglas horizontal shades are ideal, because they employ a wide range of natural or man-made materials with rich textures that will turn your small windows into true interior design statements; just pick between the sophisticated Roman shades, sleek rollers, intricate woven woods patterns or revolutionary honeycomb window treatments. Their sheerness will maximize sunlight while perfectly insulating the space. There is a lot to ask from your nursery window treatments: you want easy-to-clean fabrics, perfect light control, quality, beautiful designs, unique features and the list can continue. Therefore, investing in long-lasting superb window fashions is a must. Hunter Douglas offers that and much more with high-end products that will impart a dreamy feel to your child’s room. 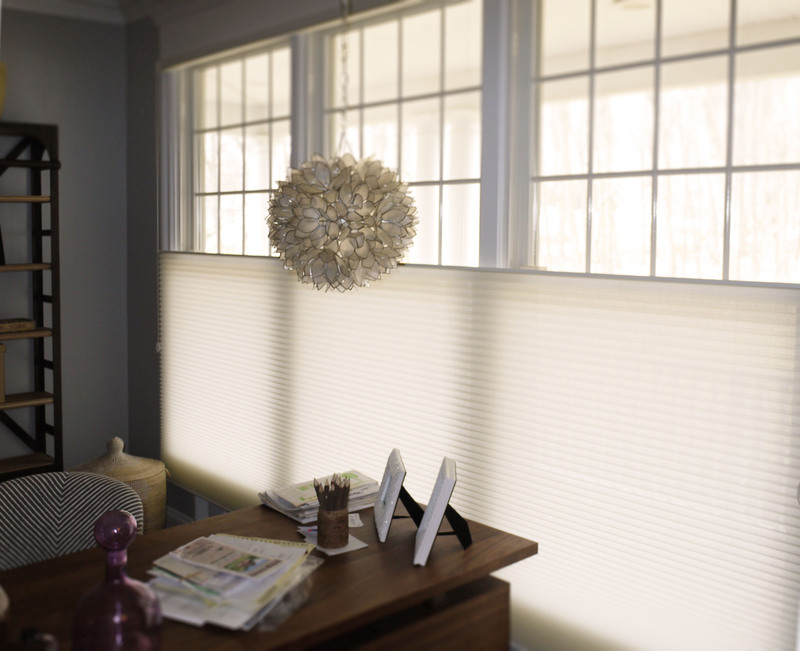 Operated by silent systems, these shades allow perfect light control, as they can be stacked anywhere along the window with just a touch of a hand, thus protecting your little one’s nap. All products are made from sustainable materials, are antimicrobial, dust-repellent, they reject moisture and will last a lifetime. 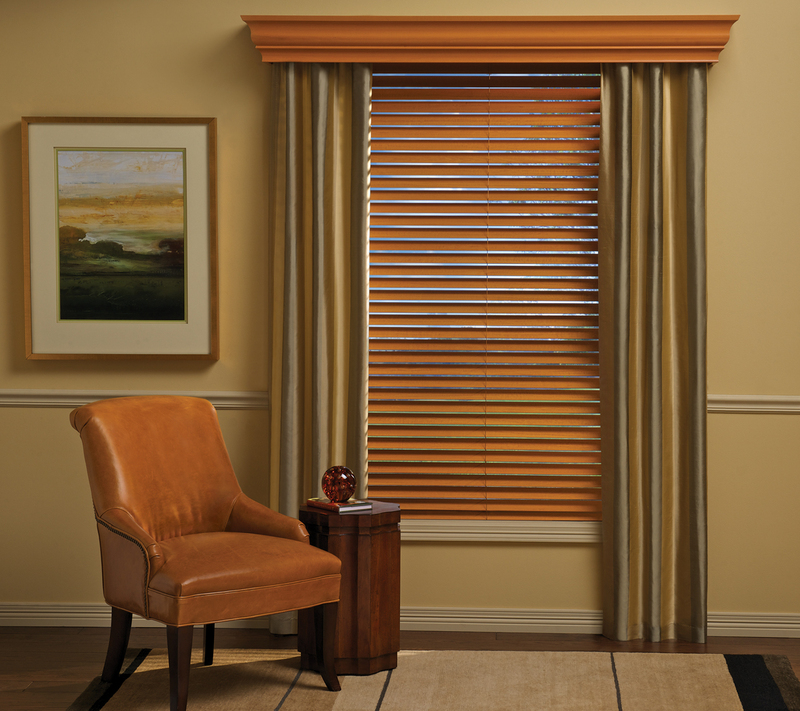 There is nothing that brings more depth and interest to a window than natural hardwood blinds. That is why the exquisite wooden window treatments from Hunter Douglas will bring warmth and texture to your home décor, by making your windows look grand and elegant. Available in a great range of tints and slat sizes, these hardwood blinds can be adjusted to suit your taste and to match your furniture, while letting you enjoy the subtle elegance of the natural grain. Moreover, the charm of any window can be enhanced by adding superb handmade cornices that also give the illusion of extra height. If you are looking for a classic colonial look for your windows, but also want to benefit from the latest high-tech materials out there, then the Hunter Douglas shutters will definitely please you. They are made from either natural wood essences or from equally lush man-made louvers, and will stand the ultimate test of time while keeping your house fresh during summer and warm and inviting in winter. What’s more, these shutters are versatile, being able to dress up any window shape, from traditional rectangular to sophisticated oval or hexagonal, adding retro flair to any stylish home. The diverse operating systems – from hinged to sliding doors and folding panels – are high-end features that command attention. Hunter Douglas is top of its game when it comes to energy-efficient window fashions. The company's attentively designed products provide enhanced insulation and will maintain a comfortable atmosphere in your house, without having to turn on the heater or air-conditioning. Particularly, the three-dimensional shadings trap the air inside their pockets, thus blocking the heat transfer; by allowing clients to add a room-darkening liner to sheer shadings or to choose a high-rated light-blocking fabric for the blinds, the energy costs are kept even lower. To boot, the company’s fabrics are dust-repellent and antimicrobial, also being capable to block outside noise, while the wooden blinds are made from sustainable essences. The Hunter Douglas shading solutions for arched windows add extra design value to this difficult-to-dress type of windows. The Netherlands-based manufacturer provides a wide range of looks and materials in order to make the most of their decorative charm. You can choose between half-circle shades, blinds and wooden shutters. The famous honeycomb shades are also suitable for arched windows, featuring an intriguing design similar to that of an Asian folding hand fan that will add extra pizzazz to any home décor. Additionally, you can lower or raise the position of the shades, according to your needs. With the trademark Nantucket shadings, you can say goodbye to flat-looking window treatments, as they will add interest and depth to any window and décor. That is because they feature a three-dimensional design in which the fabric vanes are suspended between two sheer screens that enable effortless light control, while adding a diaphanous glow to the space. An extra characteristic is the use of a special background sunscreen, for enhanced privacy and glare reduction. 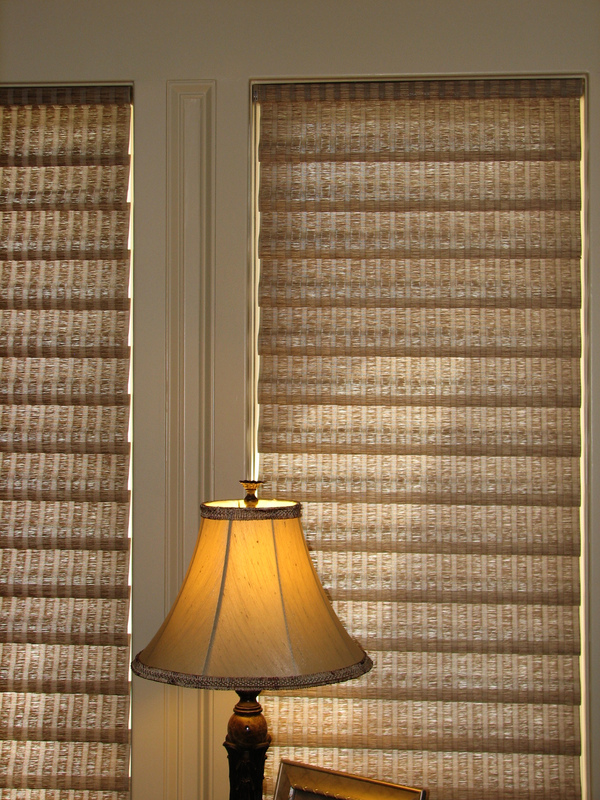 Additionally, these shades can be operated without using unaesthetic cords, by just hand pleating them up or down. 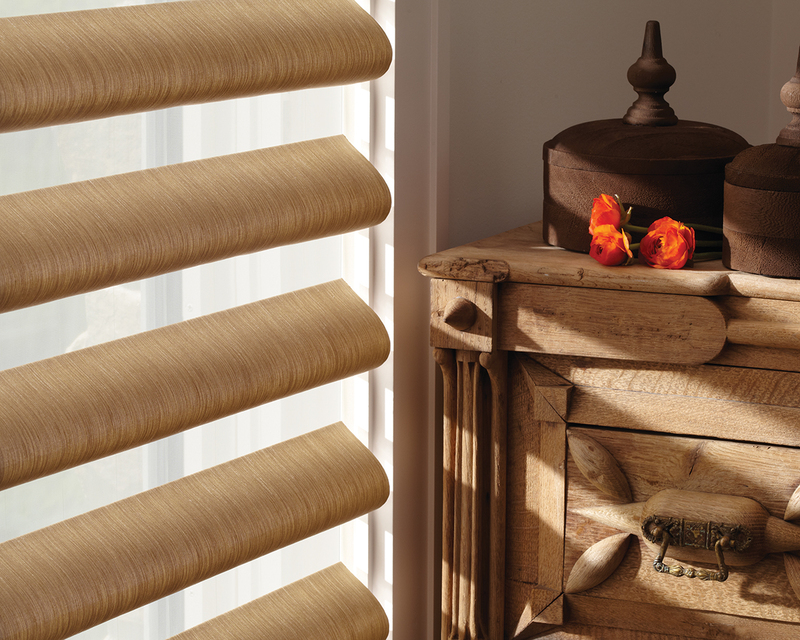 The Hunter Douglas woven wood collection offers a range of intricate textures based on hand-made reed, grass and twig shades. Natural patterns add unbeatable flair to modern or retro spaces, and that is why the company offers several types of such window treatments: you can opt for woven Roman shades, rollers, valances or panels, the latter being perfect for wide glass areas. These unprocessed materials will never fade or crack, making the most of what nature has to offer. To boot, the products are accompanied by the manufacturer’s easy to use gliding and stacking systems, so you do not have to give up on comfort. The Hunter Douglas honeycomb shades are exquisite thanks to their nature-inspired shape that allows elegant pleating and brings a delicate note to your windows. Their paper-like look will impart a sophisticated feel similar to that of the much admired Japanese Shoji window screens, turning your house in a calming space filled with dreamy diffused light. But design is not their only attribute. Available in single, double or triple layers, they trap the air inside their hexagonal tubes, thus bringing your energy costs to a minimum, while maintaining your privacy. Moreover, their revolutionary materials are dust-repellent and antimicrobial, turning your home into a safer, cleaner living space. If you are on the prowl for exquisite, yet contemporary window treatments that diffuse the light in a dreamy manner, then the Hunter Douglas shades are perfect. Employing high-end sheer fabrics, these products will disperse exterior light in such a way that will enhance the charm and comfort of any space. They can be either horizontally or vertically oriented, the latter solution perfectly mimicking the elegant folds of rich draperies. What’s more, the vertical fabric vanes permit a 180-degree rotation, enabling you to move them according to the sunlight and your desires. And there’s no need to worry about furniture or carpet fading when it comes to the sheer materials produced by this company, as they completely filter UV rays and glare. Hunter Douglas is a total game changer when it comes to classic horizontal blinds, by allowing the customers to have complete control over the structure of this window fashion. Employing a wide variety of grains and textures, the company enhances the appeal of the slats, which are available in flat or beveled designs, for added refinement. The amount of light entering a room can be managed by nesting the slats or using the elegant and minimalistic control wand; also, annoying cord holes that let the light in are a thing of the past, being hidden by a revolutionary, yet simple design. To boot, these window treatments are available in dust-repellent materials, making them easier to clean. 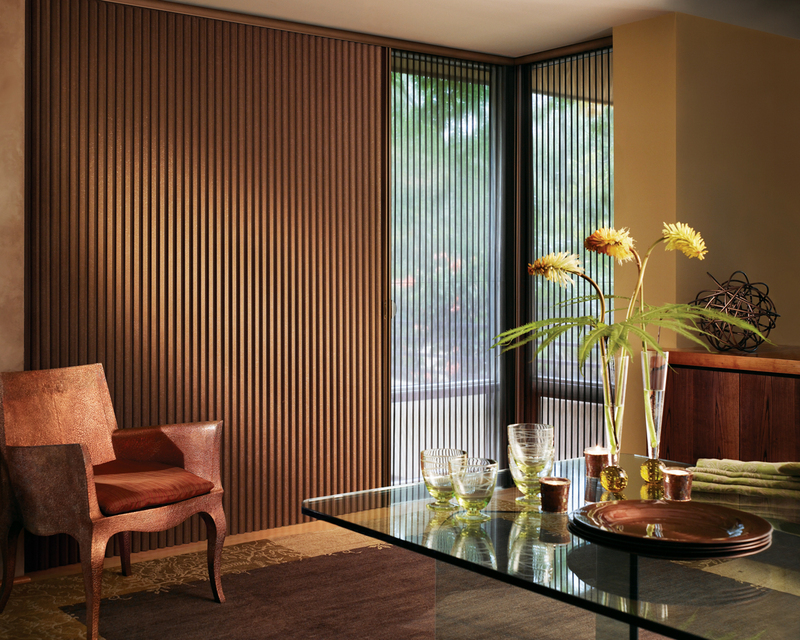 Hunter Douglas is all about perfecting classic window treatments to make them meet contemporary fashions and demands. And that is definitely the case with the Vignette shades that represent a state-of-the-art take on retro Roman blinds. 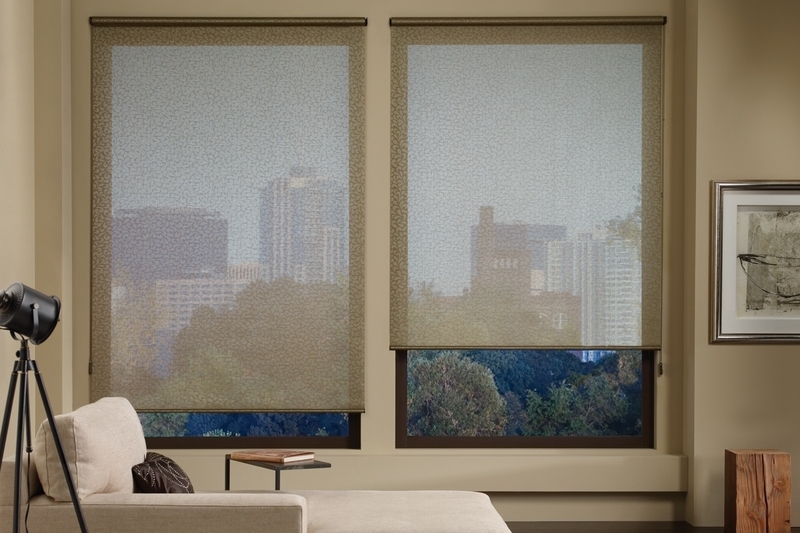 Enhanced with high-end fabrics that diffuse light and protect the interior from damaging glare and UV rays, these shades offer complete versatility when it comes to light adjustments. You are no longer limited to stacking the folds up; they can be stacked anywhere along the window, according to your privacy and visibility needs. The folds vary in size, being available in either traditional or pressed styling, while the ultra-soft gliding system allows a seamless and cordless operation mode. Inspired by nature’s perfect geometry and finished off with modern fabrics, the Hunter Douglas Duette shades rely on a revolutionary honeycomb design that enables you to use window treatments as insulation, not just for décor. The hexagonal pleats trap the air, thus creating a protecting layer against damaging sunrays, outside noise and heat transfer. Moreover, you can opt for the latest improvement by getting the honeycomb-within-honeycomb design, for enhanced insulation. This version relies on multiple fabric pleats, so no matter what materials you choose, your shades will pick-up light in an enticing manner, creating a sophisticated look. To boot, they can be stacked wherever you want along the window, for complete privacy. There is something magic about pairing sheer and opaque fabrics for a window, so the solution offered by the Pirouette shades from Hunter Douglas is perfect for creating a dramatic, yet refined décor. This model relies on elegant horizontal vanes that arch while being fixed on a sheer background fabric, creating intrigue and tasteful light-filtering. Being made from high-end fabrics that allow the light in while protecting the furniture and carpets from fading, these shades can be raised or lowered without inelegant cords, just by using a seamless gliding mode. Finally, by controlling the arching of the vanes, you control the amount of privacy and exterior light without renouncing to style. The motorized operating systems offered by Hunter Douglas allow you to blend ultimate wireless technology with delicate textured and sheer fabrics, for a smart home customized experience. With a simple touch of a button, your shades will adjust their orientation according to your needs, depending on the time of day. You will no longer wake up with the powerful sun upsetting your eyes, as the scheduled bedroom shades will change their angle to protect your sweet morning sleep. Using the special app or stylish remote, you can finely-tune the diffusion of light into a room, working with groups of shades or with one at a time. 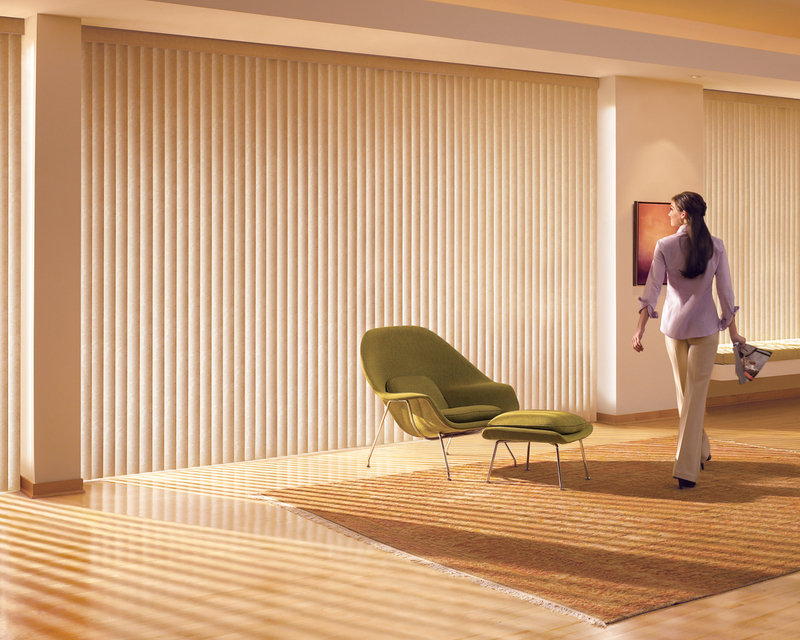 With Hunter Douglas, vertical blinds no longer represent those stale old-fashioned window treatments. They are brought to another level thanks to the use of luxurious materials and diverse textures that bring warmth to a room and dress up your windows in a stylish, yet contemporary way. You can choose between wider vanes for larger windows or narrower vanes, for smaller ones; the patented curved vanes create the illusion of rich classic draperies, while still keeping things simple with the panel track system. No matter which operating mechanism you choose, either by remote, wand or classic cord, your verticals will always glide like a dream. The Hunter Douglas roller shades offer not only unrivaled durability, but also unique design features that will impart a stylish appearance to any space. You can scroll through literally hundreds of fabrics and textures in order to choose your dream window fashions, without skimping on quality. These rollers are top of their game, providing finely-tuned adjustment systems and complete control over the level of opacity. Furthermore, no matter how sheer your fabric of choice is, expect enhanced protection against discolorations prompted by sunlight. And to finish off, the manufacturer’s unique dual system of rollers will allow you to juggle with transparent and darkening fabrics, for a customized look.